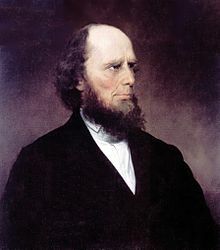 Charles Finney (1792-1875) was an American Presbyterian preacher known for his revival services and extemporaneous preaching. Sermons on Gospel Themes is a collection of his sermons, written down in shorthand as he preached them and then submitted to Finney for revision. The series includes sermons on God's love and mercy, human sin and tendency for evil, and Christ's salvation of humanity. Since Finney preached without notes, his sermons are full of emotion, yet they are amazingly structured and easy to follow. He was fond of having specific points in his messages, and a quick look at the table of contents of this volume will reveal highly organized and numbered sections. These sermons are ideal for someone looking for honest messages on important Christian themes.